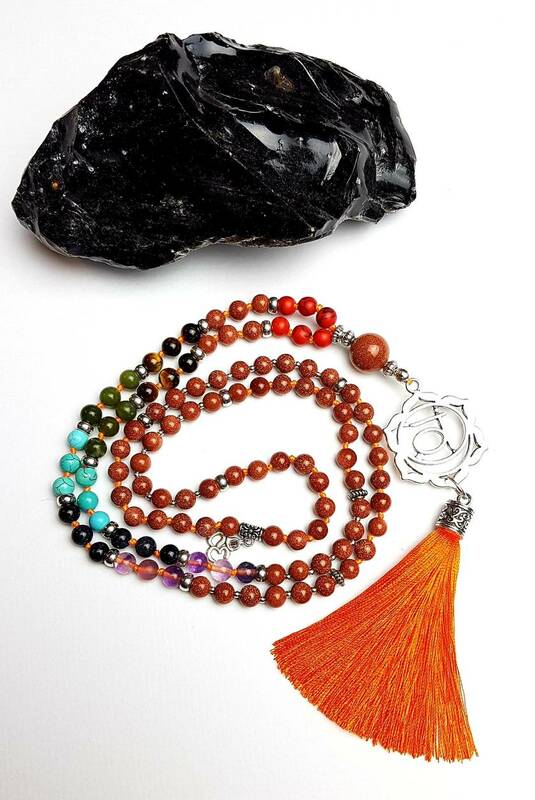 This unique piece is made up of red howlite, goldstone, tigers eye, greenstone, blue howlite, blue goldstone and purple flourite. 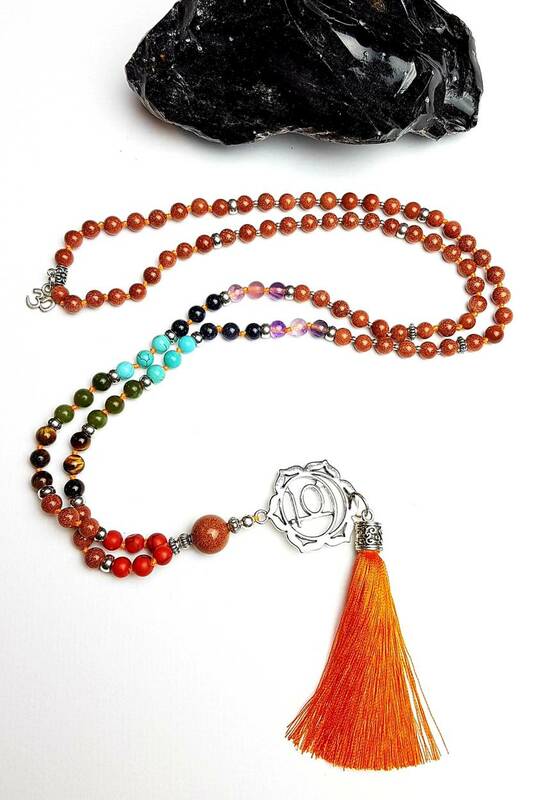 The 6mm beads are partially hand knotted on orange nylon knotting thread. 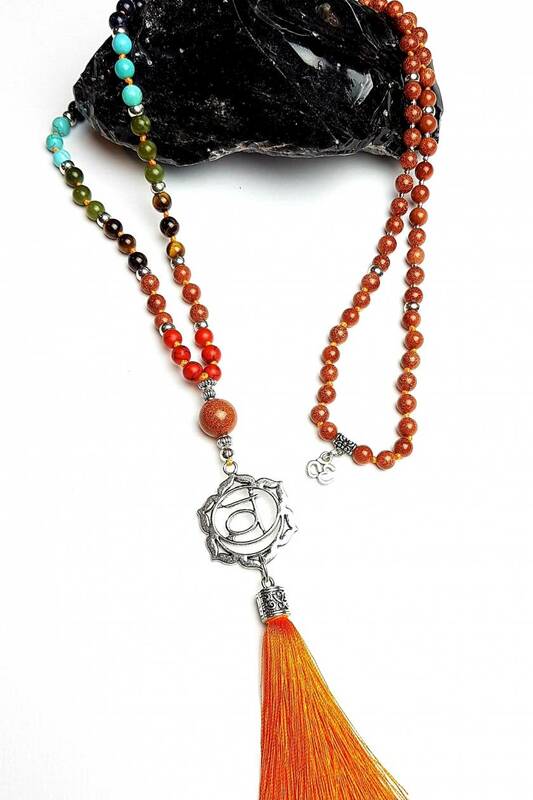 The sacral chakra symbol, silver tone findings and a lovely bright orange tassel finish off this beautiful design. Orange: Sacral Chakra - Our connection and ability to accept others and new experiences, sexual and creative energy, fluidity. Yellow: Solar Plexus Chakra - Our ability to be confident and in-control of our lives, ego, money, drive, power. Green: Heart Chakra - Our ability to love, nurture, compassion, forgivenes, healing. 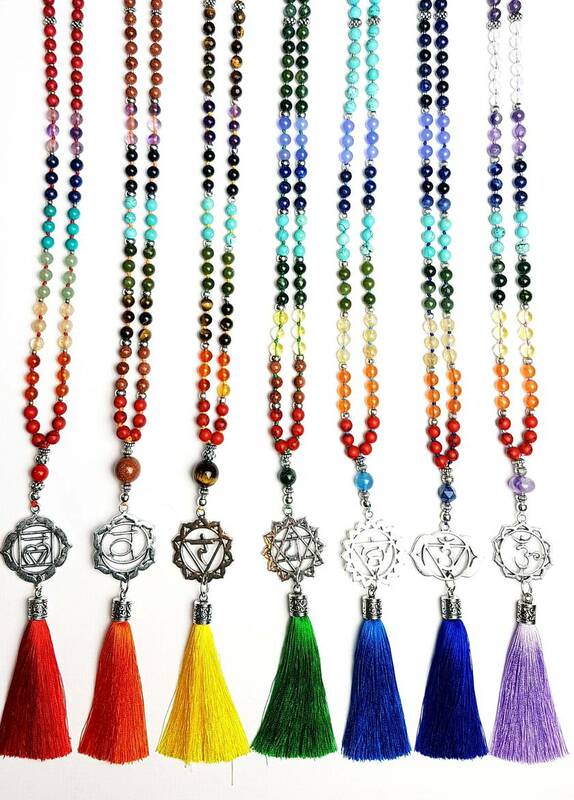 Violet or white: Crown Chakra the highest Chakra represents our ability to understand, universal consciousness.